First, we recommend reading the section where the necessary documents for a trip to Georgia are indicated. What is written there is complemented by the requirements given here. The requirements are very simple. What you need to spend the rest of Georgia by car? The document confirming the ownership of the car (certificate of registration of the vehicle). The right to drive the car of the right category, if you arrived by car, then category B, if on a motorcycle – category A, etc. Foreign passports for the driver and each of the passengers. Important! The car must leave the country no later than 90 days after entry. Otherwise, the car will have to be cleared. Only a de-registered car can be cleared, therefore it is better to avoid fines after leaving in advance. Attention! It is worth remembering that a large number of cars may accumulate on the border and the waiting process may take several hours. We recommend stocking up with cold drinking water and cover the black elements of the car dashboard with white towels. A highly recommended air conditioner is highly recommended. What are the most common fines in Georgia? for driving on the oncoming traffic for the first time will be fined 50 lari, and in the second the penalty will increase to 120 lari. Parking in the wrong place will cost 10 GEL. What are the parking rules in Georgia? In big cities such as Tbilisi and Kutaisi there are parking services. In general, it looks like this: you buy a special parking ticket, which gives you the opportunity to park at any given place for a certain time. There is a lot of dedicated parking places and such a system does not create inconvenience, prices are also quite affordable. For example, parking for a year in Kutaisi costs 40 GEL. For comparison: a penalty for unpaid parking is 10 GEL, and this penalty can be issued by both the patrol service and the parking service officer. What to do if a patrol car stopped you? First – do not panic. Georgia has very polite and friendly police officers. Of course, if you break the rules, then you will be fined. Secondly – stay in the car. The patrolman himself will approach you and ask you to show documents for the car, driver’s license and passport. 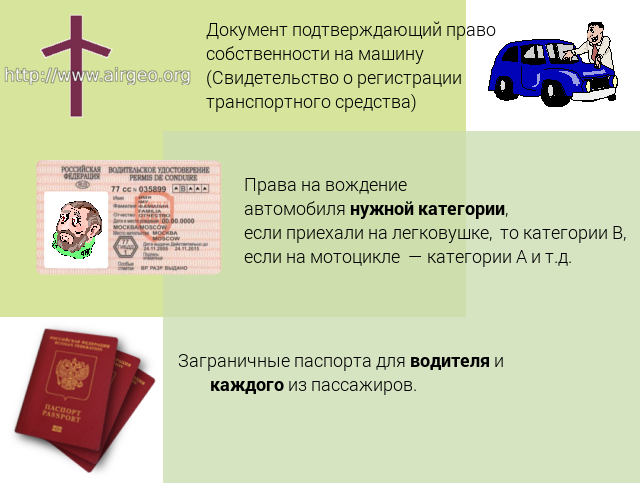 A passport is necessary because the driver’s license of another country is valid on the territory of Georgia for a year. The year is counted from the date of crossing the border. Thirdly, if the documents are in your trunk, still wait for the patrol officer and tell him that you need to get the documents. This will help avoid confusion. In the fourth – try to be polite and friendly with the police. It is extremely unlikely that you will be stopped just like that. In Georgia, all police actions are recorded on video, as the officer will warn you before starting a conversation. Any decision or fine can be challenged later, but as a rule it is always much more profitable to follow the rules. It is verified that this approach saves both time, and money, and nerves. What surprises to expect on the road? 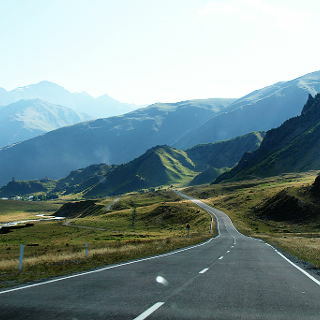 It is important to remember that if you go on a vacation in Georgia by car, then you will have to travel to wild places, and there you will find a lot of different wild and domestic animals. This is especially true of driving at night, but more on that below. Most on the roads are common domestic cows. They can stand, lie, run or wander along the road. Especially it is worth being careful when driving on a bright sunny day because animals usually like to stand in the shade on the road. If the sun shines towards you, then what is happening in the shade is almost invisible. The easiest way to slow down in such a situation is to be alert. The presence of cows generates another unpleasant side effect – in some places on the pavement remains manure, and it is very, very slippery. This is especially true of rural and mountainous areas. In the mountains, you should count the speed of movement in such a way that there is a reserve of controllability. In the mountains, rockfalls are not uncommon. Often on the road are lying very large boulders and a stone the size of a soccer ball is not uncommon. As in most cases, attentiveness and reduced speed will help. It is worth remembering that in places where there has been or are rock falls it is not recommended to use a horn. Here I want to emphasize that the degree of any hazards that you will encounter during the day can be safely multiplied by 2 at night. For example, at night in the mountains fog occurs such a density that visibility is about 4-5 meters. Neither ordinary nor fog lights save. It is necessary to go with reference to the markings and the side railing. Also keep in mind that anything can happen on the road with a car, pierce a wheel, overheat or just breakdown. It is better if such incidents do not overtake you in the mountains at night, because here it is not at all difficult to meet a bear or a wolf. If you decide to visit Georgia in the winter, then we must remember that winter riding in the mountains requires special training. Both the car and the driver should be ready. It is necessary to understand that on the passes quite often there is a situation in which you need to go down the icy road with a slope of 11% at the end of which there is a sharp turn. We recommend to study in advance the special modes that your car possesses for descending in such a situation. Install winter tires and chains. Separately, it is worth mentioning that Georgia does not use studded tires. It is simply not profitable because in one trip a dry road gap, knee-deep snow and rain can be caught. In two areas of the three “sticky” (not studded tires) copes, and where it is not enough help the chain. How can I enter Georgia? You can get to Georgia by air, by sea or by land. Before planning your trip to Georgia, it will be useful to read about visa permits.